Address: PO Box No. 2158, GPO Islamabad. 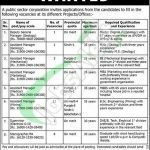 Tap this page for PO Box 2158 Islamabad Jobs 2018 Public Sector Organization Latest. A public sector corporation invites applications from the candidates from Punjab, Sindh, KPK, Balochistan, AJK, FATA/Gilgit-Baltistan for the vacancies based at its different projects offices across the Pakistan. The positions are (Deputy General Manager (Geology), Assistant Manager (Geology), Assistant Manager (Mechanical), Assistant Manager (Marketing), Assistant Manager (Medical), Assistant Manager (Mining), Supervisor (Electrical G-II), Stenographer/PA). Selection will be on Open Merit, Punjab, Sindh, Balochistan quota and interested candidates from these provinces are eligible to apply. There are some requirements which are compulsory to be fulfilled by the individuals such as for Sr. No. 1 to 6 & 8 Masters/Bachelors in relevant discipline pass can apply, for Sr. No. 7 DAE / B. Tech in a relevant discipline is required. After final selection the selected individual shall offer handsome salary package which can be examined from the following image posted below, starting from Rs. 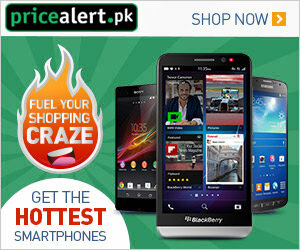 56000 to 208800/ PKR per month with other fringe benefits as per the policy of Organization. Now, in the following, we’ll discuss how to apply the procedure for the vacancies. The last date for submission of application is December 16, 2018. Last Date to Apply: December 16, 2018. Address: General Manager (A&E), PO Box No. 2158, GPO Islamabad.